Australians and New Zealanders commemorate ANZAC Day on 25 April to recognise the sacrifices of New Zealand and Australian servicemen and servicewomen – not only in defending their country but in upholding their nations’ firmly held commitment to peace and security. 2015 marks the 100th anniversary of the landing of Australian and New Zealand soldiers on the Gallipoli Peninsula in Turkey. 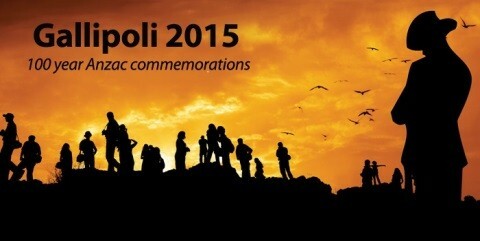 To mark this occasion, the Australian and New Zealand Consuls-General will co-host the Commemorative Sunday Service. Owing to extremely limited capacity, available seats will be allocated to the public via a ballot system with a maximum of two (2) passes for each successful ballot. Passes will be confirmed in the week of 20 April. The New Zealand Consulate General and the Australian Consulate General apologise in advance to those who miss out and suggest attendance at the Dawn Service which is the main Commemoration Service for the ANZAC Landing and where capacity is not limited.